Best VPN for Android: It is not unknown to us that almost our every move on the internet is being monitored-either by our government, or by some nefarious parties. Moreover, the money-hungry ISPs are continuously feeding your internet search history and the user metadata to the advertisers and the third-party applications so that they can be benefitted, and the ISPs get their share. Even the tech giants like Google and Facebook also come under the same bracket. That’s why the need of using the best VPN for Android is increasing rapidly nowadays. If you notice closely, you will see that only the ads of those products come into your screen which you have searched recently on the internet. So, we are not safe at all. And if you are thinking this is only restricted to your PC, you are dead wrong. Even for the smartphones, especially for the Android ones, the advertisers use advanced trackers which can trace every movement between websites. By placing the trackers on various websites they can track which websites you search the most and then place their ads accordingly. So if you wanna protect your privacy, then you’ll have to stay anonymous online. In order to help you do so, we have added a list of some of the best VPN for Android right below. Check them out asap!! So, what is the solution? How can you keep your privacy on the internet? The only feasible option is to use a Virtual Private Network aka VPN. When you are using a VPN, all your data go through a tunnel to the VPN servers, either located in your region or in some other countries. So when the spies or advertisers monitor your network connection, they only see a bunch of gibberish encrypted data and the IP address of the VPN server you are using. Moreover, the VPNs have other usages too, they are good at location spoofing. 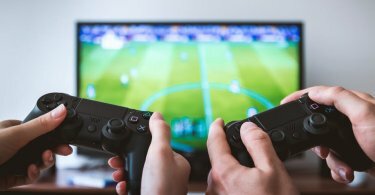 Suppose, you want to use an online streaming application or a gaming application which is prohibited in your country; you can easily achieve it by using a VPN which uses a remote server. This server will not show your original IP but will show an IP address of another country where these games or applications are legal. As the usage of the internet is growing exponentially with each passing day, the importance of a good VPN is also on the rise. There are plenty of superb VPNs available in the market and they all offer premium cyber security. But before choosing a particular VPN you should keep some metrics in your mind, some aspects which have made these VPNs class apart. So below are the criteria you should check before choosing the best VPN for Android smartphone. The first and foremost thing you should check is the number and distribution of the VPN servers the company is offering to the clients. Why is it important? Because the more the servers and the well they are distributed, the more the probability to find a nearby server while commuting. As you are using the VPN for your Android handset, that should be your utmost priority. The second point you should check is the location of the VPN company. The cyber laws vary from country to country. In some countries, the local laws demand the company to retain the user data, which is not at all a good thing, especially when the privacy is your primary concern. So before availing the service of a particular VPN company, check where the company headquarters is located and certainly read all the terms of services of that particular company. How many devices your VPN service provider is allowing you to connect at a time is another important metric you should consider. Most of the service providers allow to connect five to six devices simultaneously, so check that you have covered all your smartphones and PCs. While web browsing, speed is the most important factor we get concerned about. But when you are using VPN on Android smartphones, you will not get great uploading or downloading speed. The reason is, VPNs tunnel your connection to other servers, which negatively impacts on your surfing speed. But if you choose a VPN service which uses higher bandwidth internet or better network infrastructure, you still can get decent internet speed. So check that factor too. Lastly, you should check the price and the services offered by the VPN company, before agreeing to the terms and conditions. As all good things come with a price, you will hardly get the best VPN for Android free of cost. All the good VPN service providers charge the users for using their servers, but that should not cross the $15 mark. If you are getting a VPN service which costs more than that, then that company must offer something more, something extraordinary (maybe amazing internet speed or P2P file sharing and BitTorrent). Also, check whether the VPN comes with a dedicated mobile app or not. With a dedicated mobile app, you will get a hassle-free experience and seamless customer support. So after considering all these factors, we have made a list of the top VPN for Android devices. These VPN services not just provide you the much-required security but also offer something more to make your internet surfing experience a memorable one. Scroll down for the list. Awarded as one of the best VPN for Android 2016 and 2017, the NordVPN is our first entry in the list. This VPN service comes with three different sets of plans- $11.95/m for 1 month, $5.75/m for 12 months, and $7/m for 6 months. This particular VPN service strictly adheres the ‘zero logs’ policy which means the company does not retain any user information. Moreover, another great advantage of using this VPN service is its offers ‘Double VPN’ technology which tunnels your connection through two different VPN servers. NordVPN android APP is one of the most common used VPN applications on Android devices. NordVPN has 1118 servers spread over in 61 countries, this is another reason why this VPN service is so much popular worldwide. If you avail the service of this VPN, you can add six devices at a time. Unlike most of the other contemporary VPN services, NordVPN provides great downloading(~25mbps) and uploading(~21mbps) speed and also increases the latency(~33%) by a great measure. The firm also comes with a dedicated basic, easy-to-understand mobile app and provides 24/7 customer support. 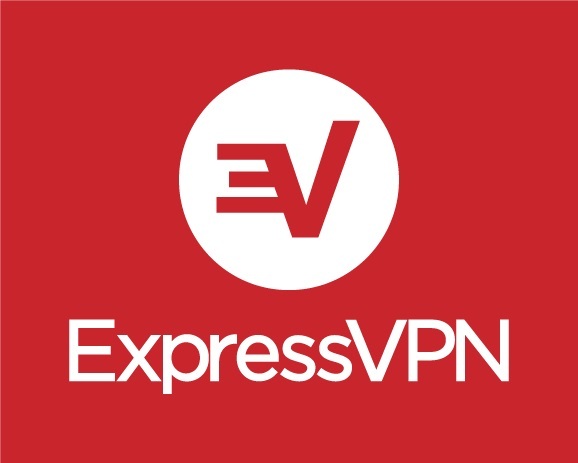 The second product in our list of the best VPNs for Android is the ExpressVPN and like most of the companies in this genre, it also comes with three sets of plans-$12.95/m for 1 month, $9.99/m for 6 months, and $6.66/m for 15 months. Just like the name suggests, the ExpressVPN offers great speed and unlimited bandwidth, which is the USP of this firm. On the security front, this VPN service flaunts a SSL-secured network with 256-bit encryption and kill switch technology, which instantly cuts off the internet connection when the VPN drops. It has more than 1000 servers across 145 locations and over 78 countries. 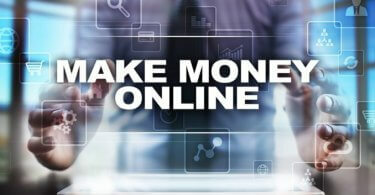 The 30-day money-back guarantee feature of this VPN service has made the company more popular and worth giving a shot. The dedicated app of the ExpressVPN is probably the best in the business and you will get round-the-clock customer support on top of it. With such amazing features and security metrics, ExpressVPN is a strong contender to win the best VPN for Android of 2018 award. 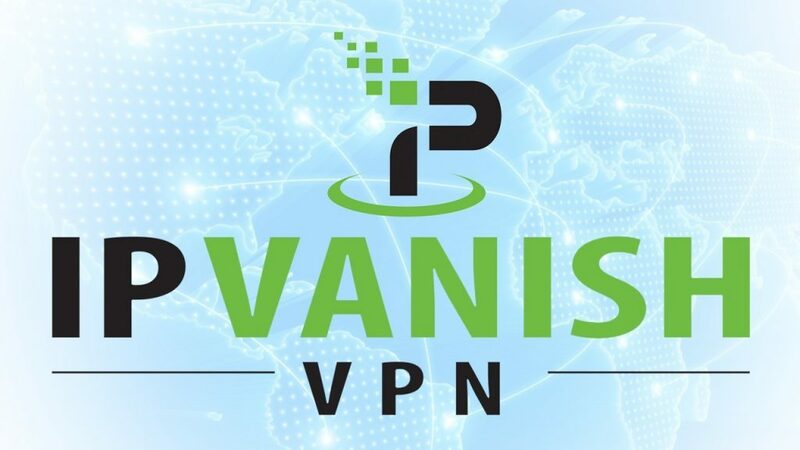 If you want all the features we have mentioned above to check before availing a VPN service in one product, then you must go for the IPVanish. Another amazing VPN service, IPVanish has more than 40,000 shared IPs and 850+ VPN servers distributed in 60+ countries. Just like the NordVPN, IPVanish also strictly follows the ‘Zero Logs’ policy and provides unlimited bandwidth as well as lightning speed. On the other hand, much like ExpressVPN, this company boasts the 256-bit AES encryption technology with the OpenVPN protocol to secure your data and connection. You can add 5 devices at a time. But the best part of the IPVanish is it supports anonymous torrenting and unlimited P2P traffic, which is very rare for a VPN service provider. The dedicated app is decent, easy-to-grasp and the company offers 7-day money-back guarantee along with the 24/7 customer support service. You can avail the service of IPVanish for 1 month which will cost you $10, for 3 months which will cost you $8.99/m and for 1 year which will cost you $6.49/m. KeepSolid VPN Unlimited is another stunning VPN service which has blown us away with its incredible and lucrative price plans. You can use this VPN service for a lifetime (100 years) by spending only $149.99 (offer going on, hurry!). Not only that, you can subscribe KeepSolid VPN Unlimited for 1 year just against $4.17/m and for 1 month against $9.99. You can also customize your plans to a more shorter period of time once you have registered for this VPN service. And the perks of having a shorter plan is it comes handy especially when you are traveling to a foreign country. The KeepSolid VPN Unlimited features 1200 servers across 80 locations throughout the world. This VPN service offers great bandwidth and uploading-downloading speed. You can connect 5 devices at a time to the servers. Another major advantage of using this VPN service is it offers a personal VPN server and an optional static IP, Moreover, just like IPVanish, it also allows its users to use BitTorrent, which is a great bonus. The UI of the dedicated app is simple and understandable. On the security front, the KeepSolid VPN Unlimited uses the OpenVPN protocol and the newly incorporated Censorship Test feature shows the user all the blocked sites on their network. Like most of the best VPN for Android smartphones, this one too uses the ‘Zero Log’ policy. Oh, you can use Netflix while this VPN is active. Another superb VPN service which has made the cut in our list of the top VPN for Android, and rightfully worth mentioning is VyprVPN. The Switzerland-based VPN service provider is famous for providing the perfect balance between speed and security. There are two plans to grab-the basic and the premium. If you opt for the basic plan, you have to pay either $9.95/month or $45 annually with $3.75/month. On the other hand, if you go for the premium plan, you will have to shell out either $12.95/month or $60 annually with $5/month. Speaking of the security measures, the VyprVPN service provider comes with various protocols like PPTP, OpenVPN, L2TP/IPsec, and company’s very own Chameleon protocol. VyprVPN provides good downloading speed and offers more than 70 worldwide server locations across all the six contents along with 200,000+ global IPs and 700+ servers. The app is above average and easily understandable. VyprVPN service offers 24X7X365 customer support and you can add 3 devices at a time if you take the basic plan or you can add 5 devices simultaneously if you opt for the premium plan. If security is your primary concern, then undoubtedly it is the best VPN for Android devices for sure. No one can deny the fact that we are getting more exposed and vulnerable to the internet with each passing day. And if continues, maybe one day the things you own will end up owning you. 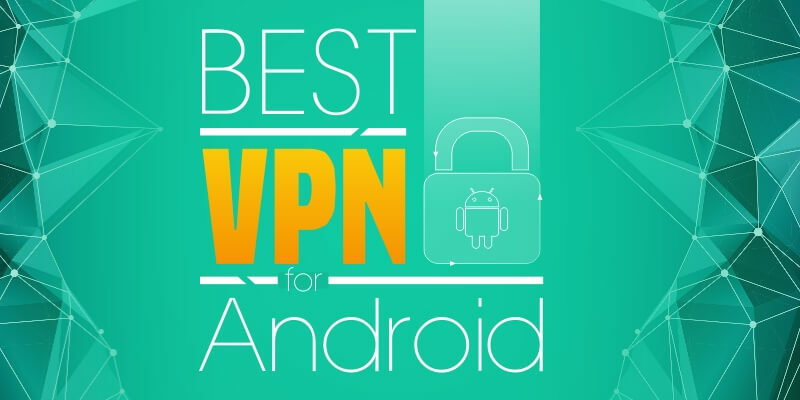 So check out the list of the best VPN for Android, read all the terms & conditions and select the one as per your needs and preferences. If speed is of the utmost importance to you, I would recommend IPVanish. Plus, it’s got a no logs policy which is really a must for someone who is as paranoid as I am.